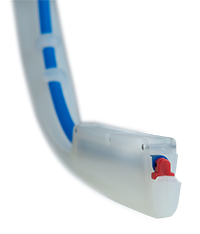 Increase speed while maintaining accurate spacing with the duarable and easy-to-use SpeedTube. The SpeedTube belt spins at a rate that changes with planter speed. It is powered by a 12 volt motor and integrated controller and seed sensor and does not rely on gravity to feed seeds. Allows for the planting of two hybrids in the same row, switching back and forth as environments change. vSET Select features integral, dual meter design to release seeds consistently down a common tube for uniform spacing. 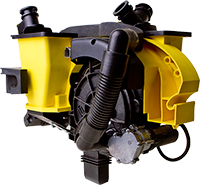 Designed For Both Finger and Vac Meter Planters, vSET features high vac pressure and a flat disk surface. 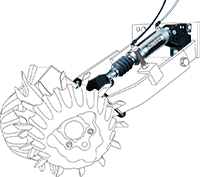 The spring-loaded singulator attacks doubles from both top and bottom, making it nearly impossible for two seeds to occupy the same hole. So each time only a single seed locks in and drops. eSet eliminates the need for adjustments by easily handling any size seed. This is an easy replacement for OEM vacuum disks on John Deere planters. Includes disk, baffle, singulator, brushes and seed extractor. Everything mounts to your existing meter housing (1991 or later). 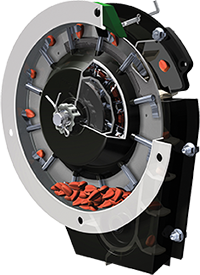 Precision Meters are engineered and built so that every component meshes perfectly. The benefit of this exacting approach is that a single seed is held and released consistently for better planting results. Precision Meter belts, backing plates or finger sets are also available to upgrade your existing meter. 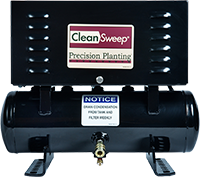 CleanSweep brings a dual-action pneumatic cylinder to each row, which adjusts to changing field conditions. It robustly handles field debris for more uniform germination and higher plant counts, all while simplifying row cleaning. 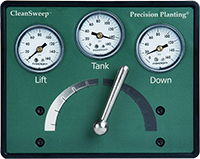 The CleanSweep controller is connected to dual air cylinders on each row. The air pressure comes from a compressor or tank, or you can use 20/20 AirForce® as an air source. WaveVision – Counts Seed, Not Dust. WaveVision detects mass, using high-frequency sensors. They differentiate between seeds and dust or debris, and count only the seeds. This results in more accurate counts and true to your plan planting. The BullsEye Seed Tube gives seeds the most direct path to the seed trench. 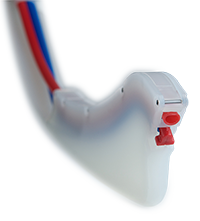 Featuring a smooth interior and recessed sensor eye to eliminate interference that can slow a seed’s descent. BullsEye are built to last with tungsten carbide tips and works with 1/2″ or 3/4″ sensor eyes. 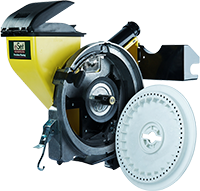 When added to your row units the Keaton Seed Firmer ensures your seeds are placed firmly within your trench’s V. This results in consistent seed-to-soil contact and even depth for uniform germination. Available in single or dual applicator tubes.